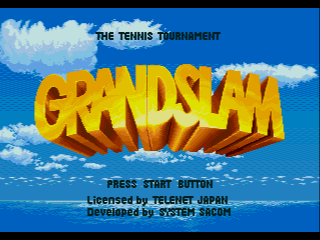 1 GRAND.SLAM Use this password for more competition. You'll find you're able to access a new lineup of 24 players -- 12 women and 12 men. 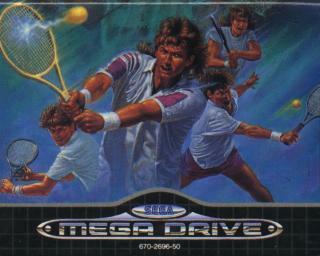 over an existing Japanese chan-style tennis game. 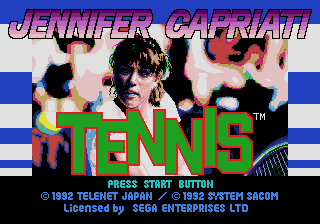 IMPRESSIONS:      It's not bad, it's just that I didn't know that Ms.
Capriati resembled a superdeformed manga babe. Only sad people who love constantly returning volleys should apply here - very boring, very easy and not much fun! Sorry, but you guys are nuts! 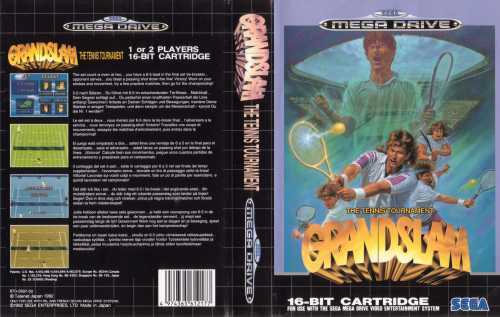 This is one of the best tennis game ever made, PERIOD! The rallies are VERY realistic. Just like in real tennis, in JCT you`ll see cross court duels where players are trying to set up for the down the line shot and also because going down the line is a harder shot to execute. 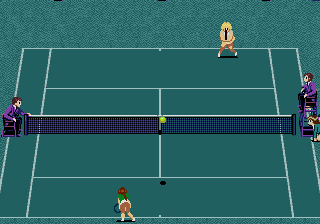 If you ever watch REAL tennis and understand what they`re doing you would appreciate this game emmensely! You see, in real tennis going down the line from the baseline is a harder shot to execute than going cross court and as a result you`ll see cross court duels. Of course players are trying to "set up" a winning down the line shot too... Well in JCT it`s exactly like this... Going down the line is actually a harder shot to execute and this is why you`ll also see cross court duels in JCT.. In most tennis games its way too easy to go down the line from the baseline. 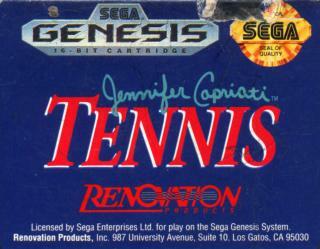 And as a result we NEVER see an "actual" tennis sim ever! 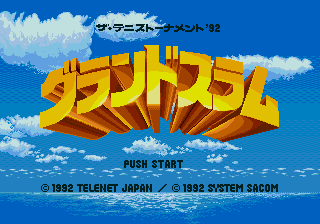 The ONLY other game that does this well is IMG international tour tennis for the genesis. But that`s not all you see in this game. 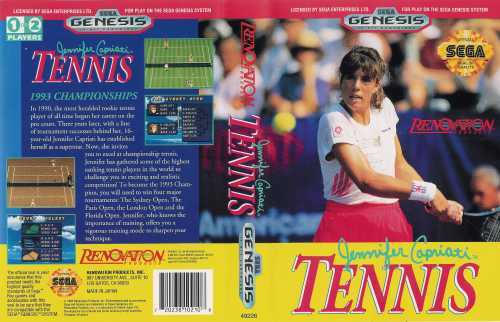 You also get plenty of aces, great passing shots, a decent net game (allthough it could have been better) great returns off the serve, etc..etc.. As far as gameplay goes, this game and IMG are without a doubt the two BEST tennis games ever made!